Nautiraid is a leader amongst the small handful of companies remaining active in the skin-on-frame market, with an excellent reputation for quality and craftsmanship. 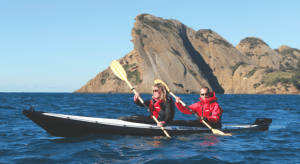 Built with expeditions and extreme conditions in mind, by a company that has over 80 years experience, their folding kayaks are professional and reliable pieces of kit. But don’t let that put you off: there are also models in the range suited to paddling for an hour or two on a sunny afternoon. We’re now going to repeat ourselves. What really sets Nautiraid apart is their QUALITY. 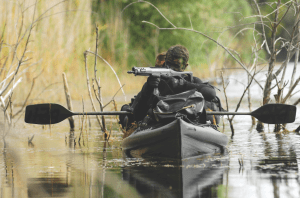 They are the last true manufacturer of folding kayaks in Western Europe – none of the work is subcontracted to factories in Poland or Asia – and on top of that they make everything themselves. We do mean everything. They don’t actually grow the trees, but very large chunks of tree go in the back door, and a few weeks later beautifully-built kayaks come out of the front door… and this quality is recognised even by the military. Nautiraid’s slightly intimidating, all-black Commando kayak – an upgraded Grand Raid 540 – even has a NATO reference number, approved for use by specialist military forces. 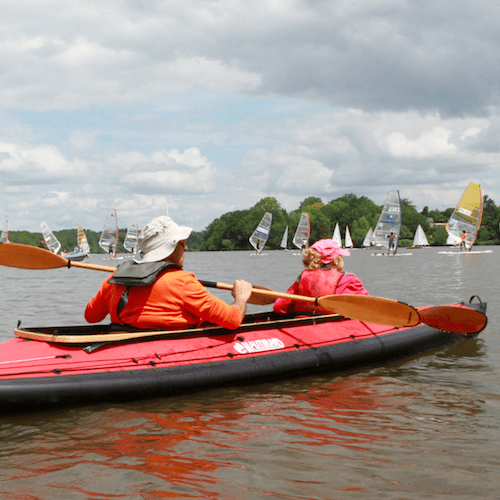 All Nautiraid kayaks, including the doubles, can be set up as one-person kayaks. 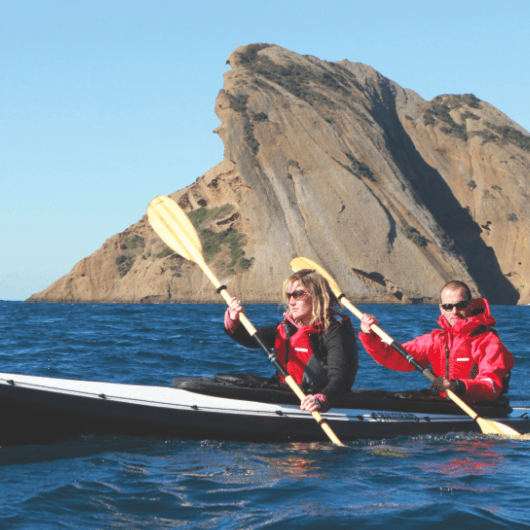 On two-person models the seating can be adjusted to optimise fore and aft weight trim for paddling one-up (together with a different spray deck, if required) allowing for plenty of storage space – see images to the right. The Raid and Narak ranges are for one person only, the Grand Raid and Grand Narak generally have two paddlers but can also be set up as capacious singles. 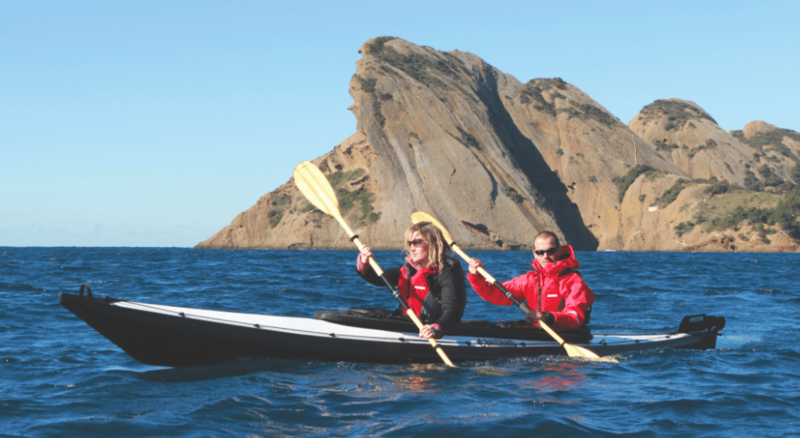 You can download our PDF table which details each kayak and its specification. Depending on how tough and light you need your kayak to be there are a few combinations available in frame and skin materials. Frame material is either aluminium or wood (ash and birch). Aluminium frames are lighter and more compact; wood frames are stiffer, quicker to put together once you get the hang of it, and have greater aesthetic appeal. Skin material can either be Valmex high-grade PVC or hypalon. (Well in fact it’s not Hypalon as that was a Dupont trade name and they’ve stopped making it, but everyone still calls it that.) Hypalon is the ultimate flexible boat fabric, but very expensive – the same stuff that’s used for high-end RIBs. Expedition Spec boats have Hypalon skin (in lieu of PVC), upgraded seats, and paddle storage pockets on deck. Stabilairs are Nautiraid’s integrated side tubes, for buoyancy and heeled stability. 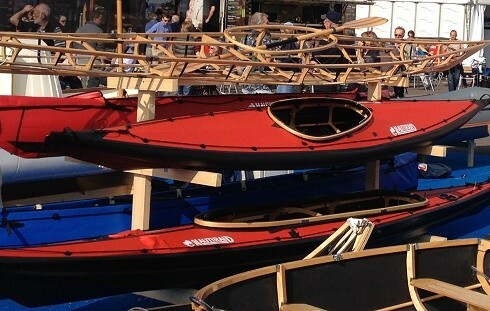 All Nautiraid kayaks/canoes have them, except Naraks, where they are standard on the new 405 model, optional on the 460 and 550, standard on the Grand Narak. 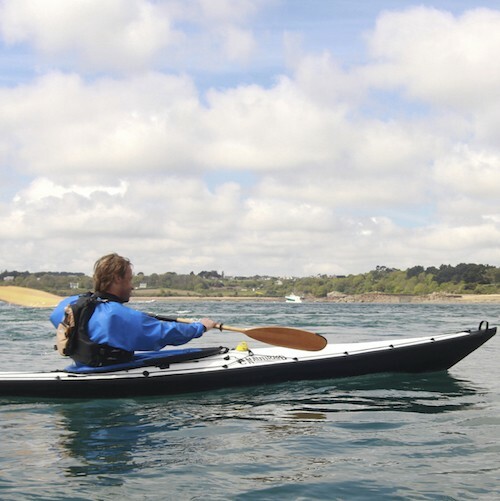 Note that where fitted, Stabilair tubes – unlike those in most other folding kayaks – are completely non-structural and don’t affect the main skin tension, so in the unlikely event that you puncture one the kayak is still viable to paddle home. 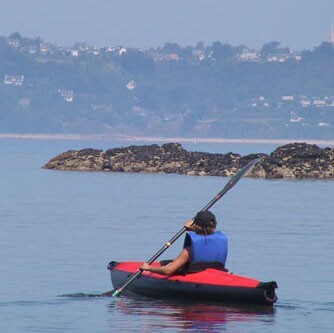 Nautiraid folding kayaks can be used “open cockpit”, in calm waters and weather; or with spray decks and spray skirts fitted for rougher conditions. The “Stabilair” inflatable side tubes also give them excellent stability and buoyancy. So these fold-up kayaks are very versatile, and can be used for anything from pleasant pottering on the Thames to extreme expeditions in the Arctic (with the right experience and preparation, of course!). 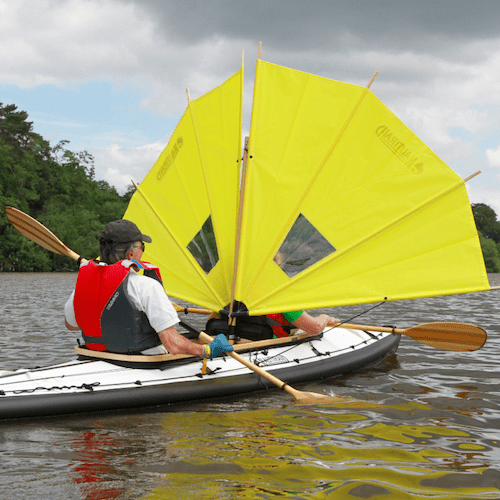 Most Nautiraid folding kayak models are fitted with a rudder bracket as standard, so you can add a rudder (optional, at additional cost) later if you wish. Please check with us before ordering if you think this may be important. 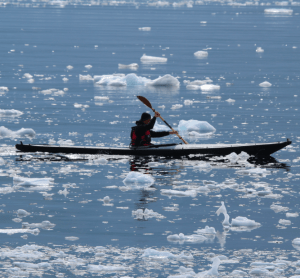 PVC durability – the Narak in ice. 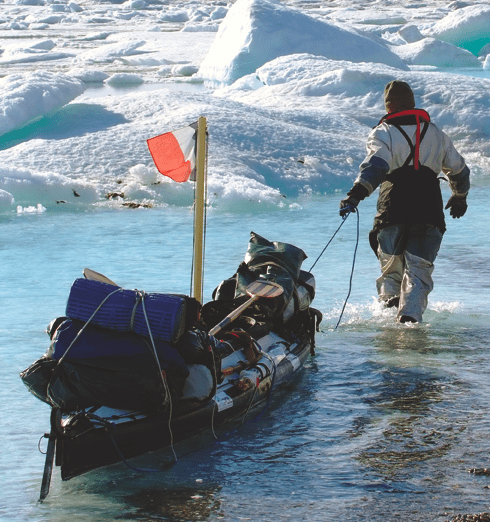 Two-person expedition kayaks or set up in one-person mode for very large carrying capacity – think 3 months on an Arctic adventure (this has been done several times with Nautiraids). But if you value stability over speed, worthy of consideration for more everyday kayaking, and there is potential to more than overcome the speed disadvantage (compared to a Narak) by fitting an electric motor. For one person. With their higher length to beam ratio (they’re relatively longer and narrower) Naraks, compared to Raids, are generally faster but a bit less stable and a bit less happy to be loaded to the max with gear. Ideal for day touring and weekend expeditions, but light packers might still manage to go (and have gone) for a week or more. 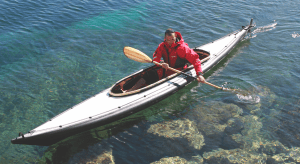 One or two person kayak that’s narrower than the Grand Raids, so more efficient but with less carrying capacity. Again this will probably only be an issue if you’re planning long and unsupported expeditions in remote parts of the world – the Grand Narak has been used for many expeditions of a surprisingly ambitious nature (eg six weeks in Indonesia). PDF Price list and Specifications. Email mail@nestawayboats.com or fill in our online contact form.